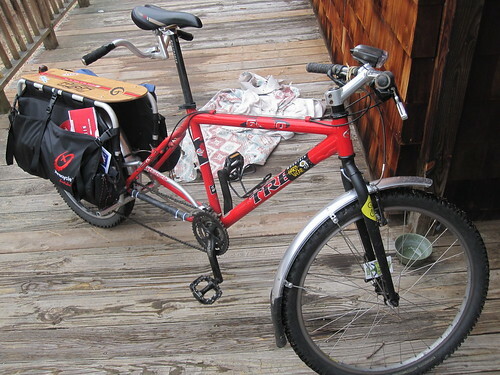 The first one is my Trek/Xtracycle that will now be broken down and sold. I love that bike, but it's just too small for me. 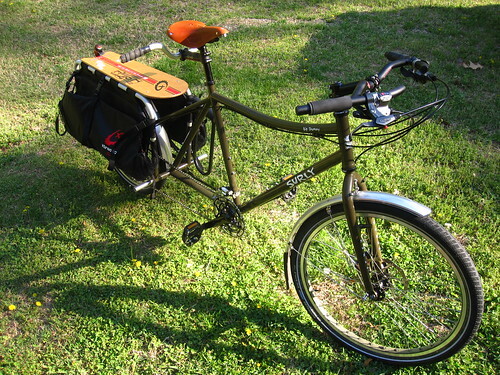 The others are my new Big Dummy. I'm thinking about calling it the "Truckster." Maybe somebody will get that reference. Anyway, I'm loving the bike and it fits/rides much better than the old setup. I'm just psyched it's getting warmer out again!